Tonight was somewhat of a return to the fold for both Joanna Cooke and Jo Harman, as Cooke hails from Lyme Regis, just along the coast, and Harman comes from Lustleigh on the edge of Dartmoor. There was an air of excitement as Harman's parents were watching the show, but that gave the proceedings a relaxed, fun vibe. Cooke took centre stage first behind her keyboard. She started with 'Bright Lights And Glitter', a soulful, slow, easy listening number which saw some cool tones that poured from Cooke. This was only her second time of performing solo, as normally she would have a guitar accompaniment. That being said, her warm, slightly husky voice blended delightfully with her accomplished keyboard playing, and at times this was added to by hand claps and finger clicks, and all with only two hands! This was well illustrated by the Gospel-inspired 'Darker Days'. 'No Stranger To The Blues' showed Cooke clearly had a good command of melody as this song was hauntingly beautiful. 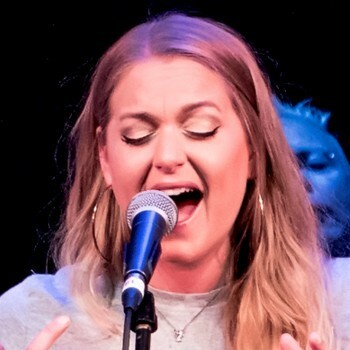 Cooke's musical influences are spread far and wide and, as such, 'Some Say' (also the title of her new EP) was a dance-based affair. More piano-led melodies with a soaring vocal followed in the form of 'Do It Slow'. Cooke finished her set with the upbeat 'Black Keys' which pooled Blues and Soul into a melting pot of goodness. Joanna Cooke clearly left a good impression this evening, so I expect to hear a lot more from this talented artist. 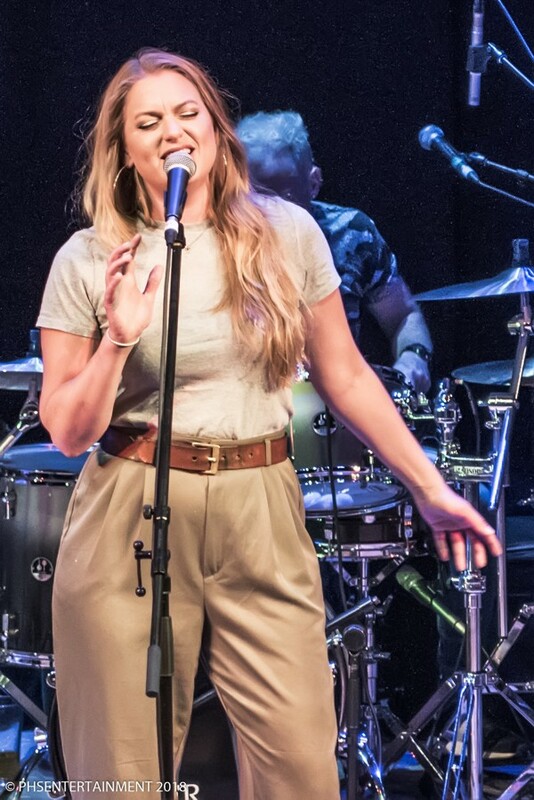 Introduced by her manager Mark Ede, Jo Harman and her band hit the stage and launched into 'Silhouettes Of You'. After a few quips about her manager, a relaxed Harman kicked 'Unchanged And Alone' into touch. With a heavier rhythm and gritty guitar came 'No One Left To Blame'. Harman's voice moved from a pure tone to warm gravely power with ease and also highlighted how tight her band were too. Vocal and guitar seamlessly harmonised on 'Hear Me Now' and this offering saw Nat Martin ring some great solos from his guitar. Harman's vocal tone is best described as warm silk with a burning edge which dovetails well into the Blues genre. A very chilled Harman came across brilliantly with friendly and very funny banter between songs, which made the set fly by even quicker. 'Cloudy' is one of her more traditional sounding, slow Blues songs and comprised only keys, guitar and vocals, but was still a classy number, full of passion and emotion. Harman, now only with keys as support, next performed a cover of Carole King's 'Will You Still Love Me Tomorrow'. This fitted in the set neatly as so many comparisons can be drawn between King and Harman musically, thus making this iconic track a natural choice which was executed wonderfully. Having played 'Through The Night' in its original arrangement for many years, Harman and the band made a decision to give it an impromptu overhaul tonight. The resulting Jazz Blues fusion had a meaty groove to it which once more saw Martin nail down astounding solos and phrasings – pure class! 'Bless My Soul' continued the groove with more of a Rock flavour as Harman really moved to the beat. 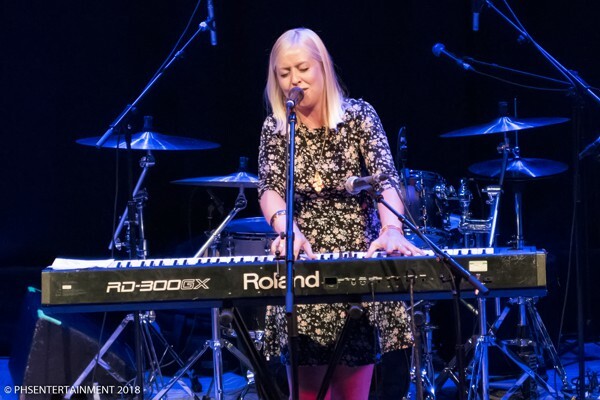 The Harman classic 'When We Were Young' continued to keep both band and audience on the boil before 'The Final Page' brought things back to a smooth simmer with more superb keyboard work by Emily Francis, ahead of 'Lend Me Your Love' which brought out that wonderfully powerful gravel tone from Harman. They all returned for the encores of the Country-Gospel flavoured 'Sweet Man Moses' and funky show finisher 'Say That You Want Me'. 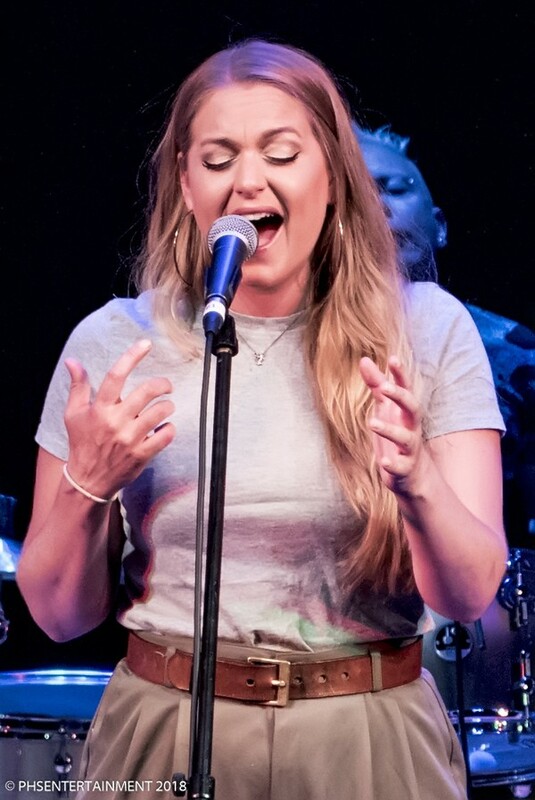 Jo Harman put on a great show tonight with no bells, whistles or gimmicks needed, just a set of truly gifted and professional musicians supporting what must be one of the most unassuming but highly driven female vocalists in the business. In fact, she is equally charming and down to earth off stage too. If you get a chance to see her, then grab that opportunity with both hands. She is a musical gem what will shine brightly for many years to come!